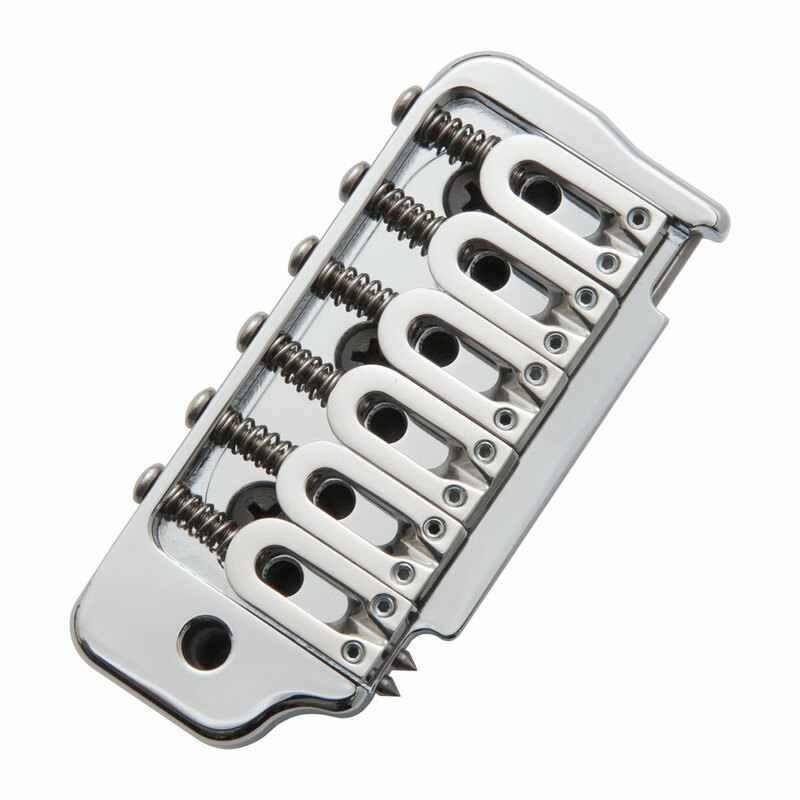 The Hipshot US Contour Tremolo is a gorgeous, premium quality two point tremolo system with unique hardened steel pivot pins for a super smooth action and durability. The body is machined from a solid block of brass balanced with a solid steel sustain block for superior quality and tone, the bridge walls eliminate any side to side movement of the saddles and the smooth edges sit well against the hand when palm muting. The saddles are machined from stainless steel for clarity and response and their block design further adds to the comfort against the hand while playing. The Hipshot US Contour Tremolo is designed to retrofit the two point Fender American Standard tremolo. The tension holding the tremolo arm can be adjusted via a set screw in the bridge, the arm and all mounting hardware is included.